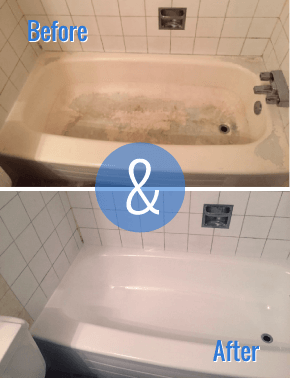 Call our team today to discuss your tub reglazing needs. For over 10 years, the team at Master Reglazing has served residential and commercial customers in Edmonton and the surrounding areas. From restoring and repairing tubs and sinks to refinishing and restoring antique bathtubs and hardware, we can help you re-invent your bathroom without breaking the bank. Our reglazing product is incredibly durable and cost-efficient, providing a high-gloss finish that is UV-resistant and Isocyanate-free for bathtub repair in Edmonton & Sherwood Park. For more information on our reglazing, refinishing or other services, give us a call today. View our gallery for more before and after photos.